Welcome to the home of Southern Oregon's No. 1 H.O.G. Chapter! Check us out. We're sure you will find plenty of useful information here, as well as a way to keep up with what's going on in the motorcycle world & events around the northwest. If you are a Harley rider and have an interest in Harley-Davidson's official riding club come to one of our meetings and get to know us. at D&S Harley-Davidson, usually @ 9:30 AM! Come early for fresh coffee and donuts. Check out the new "Streets of Gold" page button! Just click on the "Chapter Info" button above to access it! MEMBERS!!! Newsletter links can be found on the Members Only page, as well as a copy of this year's chapter bylaws! 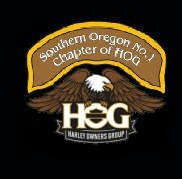 Southern Oregon Number 1 Chapter Harley-Davidson Owner's Group (HOG) is a group of motorcycle owner enthusiasts whose sole purpose is to meet, ride and have fun. 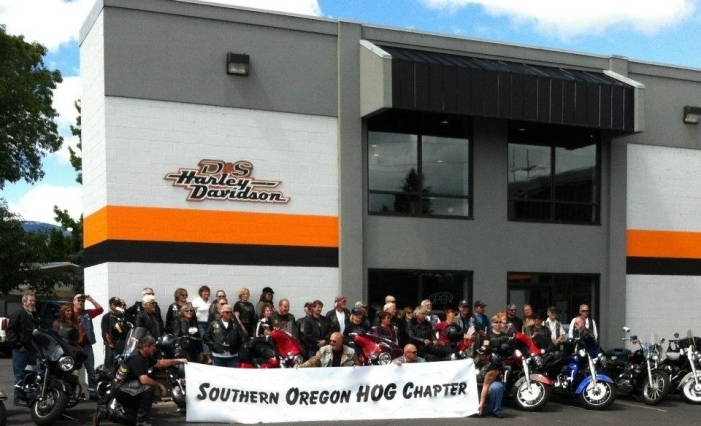 This web site is not owned, maintained or directly affiliated with Harley-Davidson, Inc., and is intended to be a public service to our community by promoting our local HOG.